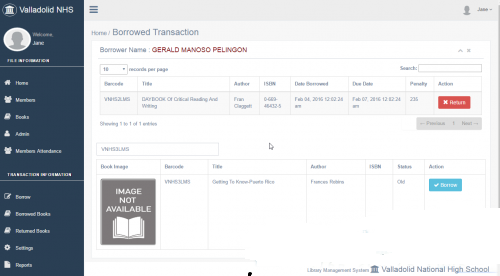 Today, I have here a Library Management System with Barcode for Valladolid National High School. This simple yet a useful system that I create using PHP/MySQL with a barcode scanner for the borrowing books. This system I created may help you to your future projects. Also, for the beginners who really want to learn basic coding in PHP/MySQL. It is a user-friendly kind of this system. Hope this simple system will help you on your projects. what is the pass winrar? Thank you.Please use mysqli or pdo mysql is deprecated. how you are scan bar code number from book. How to connect to database?